• Hyde Park High School will receive significant building renovations to better support the school’s International Baccalaureate program. • A new Near West Side Open Enrollment High School will be built to support the growing student population in the area and establish a high quality high school in the community. CPS is working with the community to identify a location for the new school. • Prosser Career Academy will receive a new CTE wing to support Chicago Builds, a 2-year training program in the building trades for 11th and 12th grade students who are interested in pursuing a profitable career in the building trades after high school graduation. 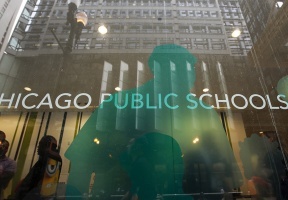 To view the full proposed FY19 Budget, please visit www.cps.edu/budget.